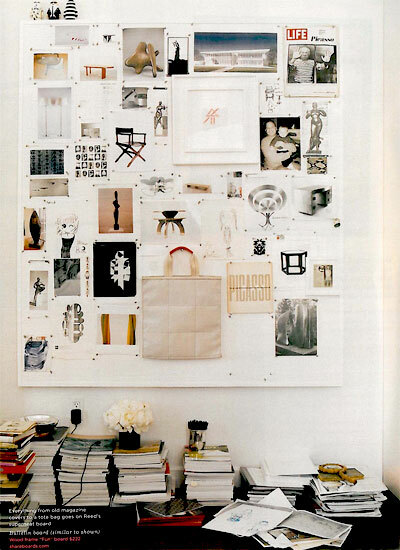 I have always been a big fan of boards: pin boards, mood boards, inspiration boards, vision boards... basically any kind of board that allows me to tack up an interesting image or article and keep it fresh in my mind. 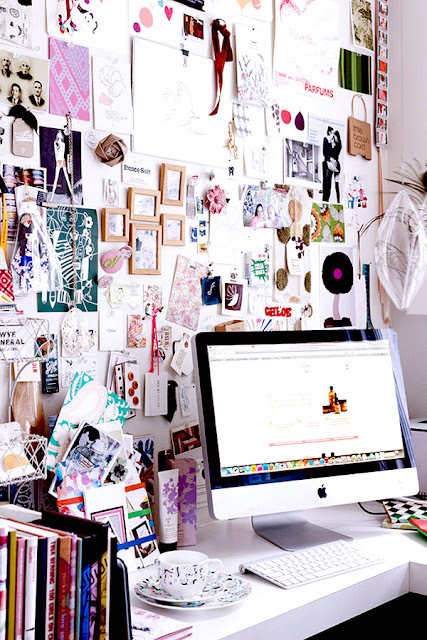 Right now, things are feeling a little bit stagnant in the Hipsters for Sisters office and I'm getting the feeling that our workplace is in need of some good, old feng-shui. I like to think that moving furniture around in a particular room or office every so often helps release stagnant energy and increase the flow of all things inspiring and motivating. However, changing the entire layout of our office is not something that can be done in one day, or on impulse. It requires a well laid out plan. So, I figure in the meantime, something small that can be done to give things a fresh perspective is creating a board. Now the question is, what kind of board? Naturally, as a big board enthusiast, I think the more boards, the merrier, yet when it really comes down to it, I think all you really need are two types of boards: an inspiration board and a vision board--an inspiration board for posting special images and articles that inspire you and your design (artwork, photographs, symbols, articles, typography, fabric samples...etc.) and a vision board of other photographs and images that serves as a visual map of your goals, dreams, and where you'd like to see yourself in the future. I'm going to start by creating an inspiration board, although the process for creating each type of board is virtually the same. 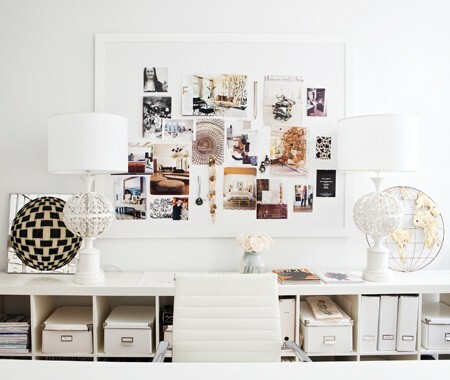 First, begin by collecting images that inspire you (or represent your goals and dreams)--whether they be printed out from Pinterest, Tumblr, or Google images, ripped out of magazines, or photocopied from art books--then, simply arrange them on your board and pin. Want to create a board, but still don't know where to start? 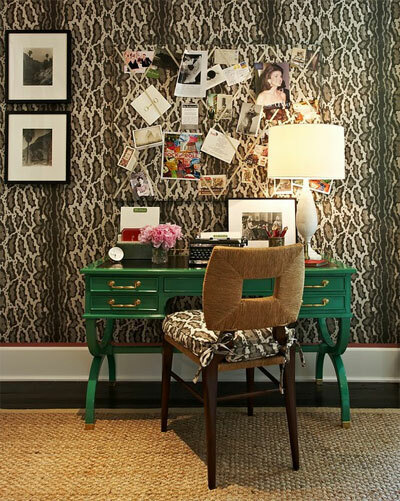 Here are some images I found of other people's inspiration boards to help give me ideas for mine (some inspiration for your inspiration, if you will). 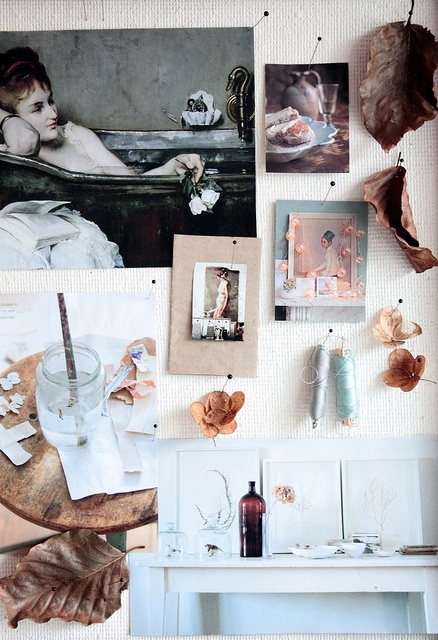 I'll post a picture of my completed inspiration board when I'm done, so stay tuned! Do you have an inspiration or vision board? Do you think it helps organize your thoughts or not?